In its latest retail strategy ahead of the holiday shopping season, Toys R Us will match its prices against competing retailers. 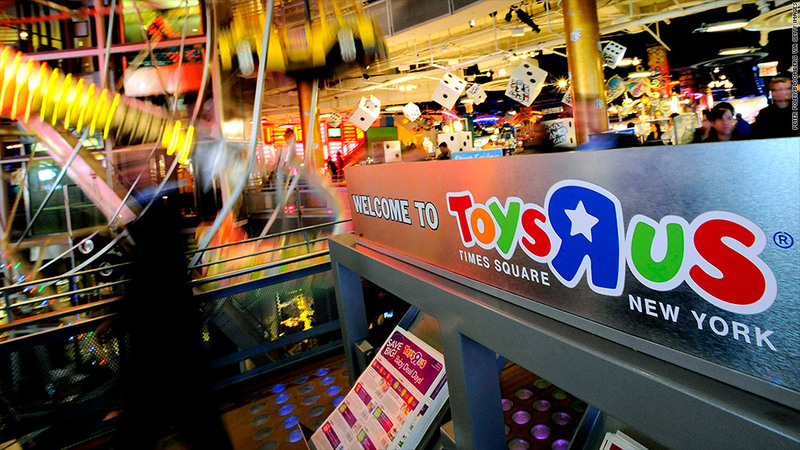 The retailer said that it will offer a "price match guarantee" on all items from Toys R Us or Babies R Us stores. "Now through Christmas Eve, the company will match competitors' in-store pricing on identical items, any time a customer presents a local competitors' current, valid print advertisement showing the item available for less," said Toys R Us on Tuesday. The retailer said the deal extends to include the seven days after the purchase at Toys R Us is made. Customers can get a "price adjustment" on their purchase if they see the items advertised for a lower price up to seven days after their purchase at Toys R Us. This is the latest salvo that Toys R Us has launched against competing retailers like Wal-Mart Stores (WMT), Target (TGT), Macy's (M), Kohl's (KSS) and Sears (SHLD). Toys R Us recently announced a free layaway plan ahead of the holidays and a "hot toy reservation" offer. The free layaway offer runs through Oct. 31, after which the retailer will charge a $5 service fee. The hot toy offer allows customers to reserve certain toys with a 20% deposit. Wal-Mart has also tried to make its layaway program more appealing to consumers, by reducing its upfront fee to $5 from $15. Wal-Mart also offers an "ad match" program, where it matches the lower prices advertised by local competitors. Toys R Us also announced that it's ramping up holiday hiring this year, by hiring 45,000 seasonal workers. That's 5,000 more than last year. Kohl's also announced plans to increase holiday hiring. The retailer will hire 52,700 seasonal workers, a 10% jump compared to last year. Not to be outdone, Macy's is planning to hire 80,000 holiday workers to staff its Macy's and Bloomingdale's stores. That's an increase of 2,000 from last year.